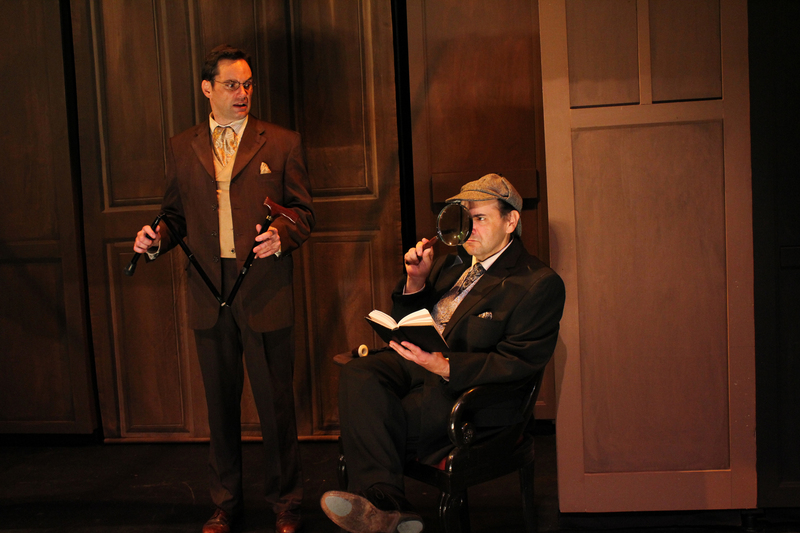 Bill Mootos as Dr. Watson and Remo Airaldi as Sherlock Holmes in The Hound of the Baskervilles performing September 7 - October 2, 2011 at Central Square Theater, 450 Massachusetts Avenue, Cambridge, MA. Photo: Elizabeth Stewart/Libberding Photography. The Hound of the Baskervilles by Steven Canny and John Nicholson, Central Square Theatre, 9/7/11-10/2/11, http://www.centralsquaretheater.org/season/11-12/the-hound-of-the-baskervilles.html.